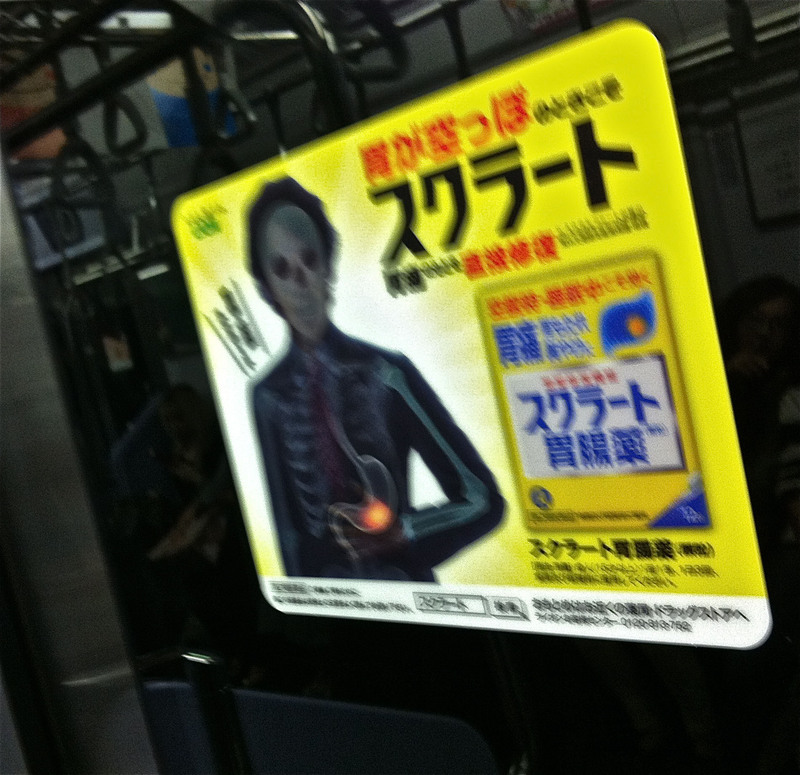 Home » Just another day in Japan » Suddenly Cursed With X-Ray Vision! Suddenly Cursed With X-Ray Vision! I thought this was a regular printed ad, but actually it was one of those things that wiggles into something else if you shift right or left. I was standing on my train home the other night, idly trying to read the ad on the doors and swaying with the six other people occupying my square meter of space, when YIKES we swayed right and the guy in the ad suddenly had no clothes on! Or skin! Or muscles! Like some sort of Ghost Of Christmas Future nightmare, the attractive actor who I recognized from watching many Japanese soap operas was abruptly fast-forwarded into a horrible ashes-to-ashes state, just skull & bones & glowing stomach. 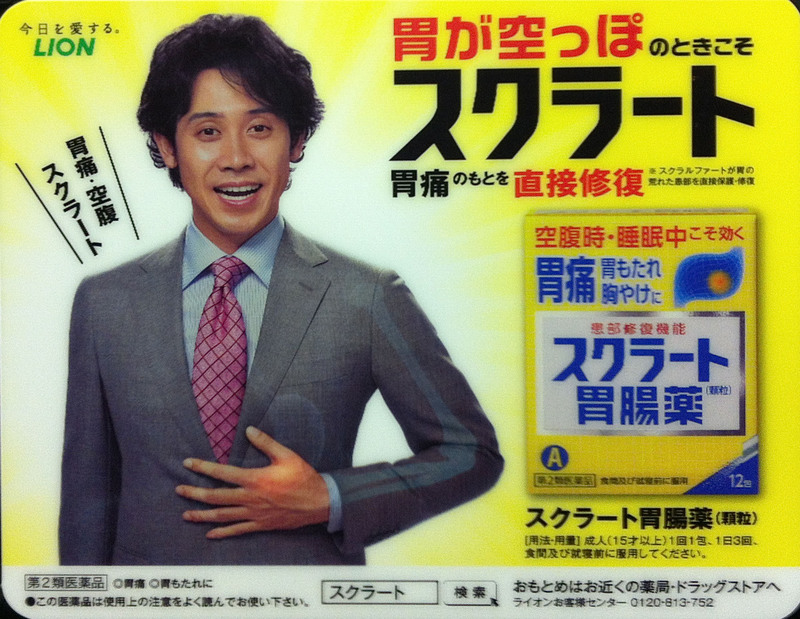 Why the ad team thought this would make me want to rush out and buy their client’s stomach remedy, I have no idea. Apologies for the blurry shot – moving train, cellphone, late at night, & all other usual excuses. I thought the same thing, except this isn’t quite campy enough to not be, well, you nailed it, creepy. Plus, it sort of startles you, because you’re not expecting it and you see it out of the corner of your eye and think YIKES.